VA Home Loans | What can I Expect When Closing on a VA Home Loan? VA home loans come with several myths and many are completely false. One of the most common myths that have even scared some veterans away is that VA loans take forever to close. While it’s true, the average VA home loan will take longer to close than other mortgages, it doesn’t take forever. In fact, Ellie Mae, a mortgage software company, stated that it took about 46 days, on average for a VA mortgage to close. This included everything from the first application to receiving the keys. Comparing this to the average for all home purchase loans, it doesn’t seem so long. The average closing for all home loans takes about 42 days. Is it worth it to spend an extra few days in the closing process to get the very best rates, avoid paying a down payment and gain other benefits? For most, the answer is YES! Even so, it’s important to understand why it takes a bit longer for a VA home loan to close. Here are some of the things you can expect when you enter into this process. Before you even start looking at homes, the first step is getting pre-approved of prequalified. While this isn’t really a part of the closing, it’s important because it will allow everything to move much faster and smoother. In addition, without a preapproval letter in hand, you may struggle to get an offer accepted. You could end up finding a home you think it perfect only to find out you can’t get approved for the financing, as well. While you can just get prequalified, getting preapproved is better. It’s a more in-depth process and allows you to find out exactly what the lender will approve you for. This is very important as you don’t want to fall in love with a property you cannot afford to buy. You should always try to shop below the preapproval amount. This will help to keep your finances in order and will ensure you can get the financing needed to buy the home. It’s dangerous to go after a home outside of the preapproval range and could lead to the closing taking longer or not happening at all. Again, it’s not part of the technical closing process, but the 46-day period mentioned above includes time to find the right home. Right now, there simply are not enough homes, which make it a bit harder on buyers. This part of the process can take longer, depending on what you find and how quickly you get an offer accepted by the seller. You may have to submit multiple offers before you get an acceptance from a seller. It’s also possible that you could have the home already picked out before you start the rest of the process. Of course, the home sale could fall through and bidding wars can ruin your dreams. During the home searching process, it’s best to have a real estate agent specializing in helping veterans by your side. They will be able to guide you and help you find the right home faster. After you’ve submitted an offer and had it accepted, you will need to agree on a timeline with the seller. Sometimes, people selling their homes are not ready to move out right away. They may need to find a new home, which could take longer than anticipated. You could need to way an extra week or two if the current homeowner has to find a new home. After your offer is accepted, you will likely need to figure out what timeline works for you and the seller. You may not have a ton of control here, as they may only accept your offer with a contingency setting a specific move out date. Of course, there’s also a chance they are ready to move out or have moved out and you can move in as soon as the home buying process is over. A very important part of any VA home loan closing and home buying process is the appraisal. If an appraisal comes back and it’s not what was expected, it could end the entire process. In addition, this can be a slow part of the process because VA appraisals can take longer than a normal appraisal. Expect the appraisal process to take about 10 days to be completed. This is due to the use of a VA appraiser by your lender. They have tighter standards and it’s a bit like working with a perfectionist. This is out of your control, however. While not every property will need repairs, it’s possible you will need to wait for repairs to be completed. If the appraisal comes back and there are any required fixes, they will have to be handled before you can get fully approved for the VA home loan. The seller can reduce the sales price to cover the repairs or they can pay for the repairs. You also have the option to pay for the repairs, which is likely the fastest option. Of course, you can also walk away from the home and find another. The actual closing day won’t take that long at all. It will seem like forever and you may have a hand cramp from all the papers you have to sign and initial, but it will only take an hour or two. Closing isn’t a long process, but the process leading up to closing can be long. 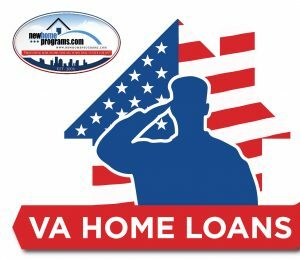 While VA home loans don’t take much longer to close than a normal loan, they could take longer, if there are issues you must handle. Of course, this could also be the case with any home loan. Often, the process to get to closing day is determined by the buyer, the seller, the appraiser and the mortgage company. If you have everything in order, it will move along much smoother than if there are issues with the deal. A useful read for First Time Home Buyers, Need a Mortage? Find more information about Borrower First Mortgage.